Since returning from Tucson at the beginning of the month I have been having a hard time focusing on my artwork. As I may have mentioned we did purchase a condo out there and now we are dealing with the endless paperwork of buying a home. And it is endless. The last time we bought a place was back in 1997 before the big "housing crash". Due to all the financial shenanigans that went on during the mid 2000's the banks are hyper vigilant and the requirements are vast for obtaining a mortgage. So we endure but it is hard to concentrate on much of anything. Plus the weather here in Boston has been ridiculously cold, windy and snowy. 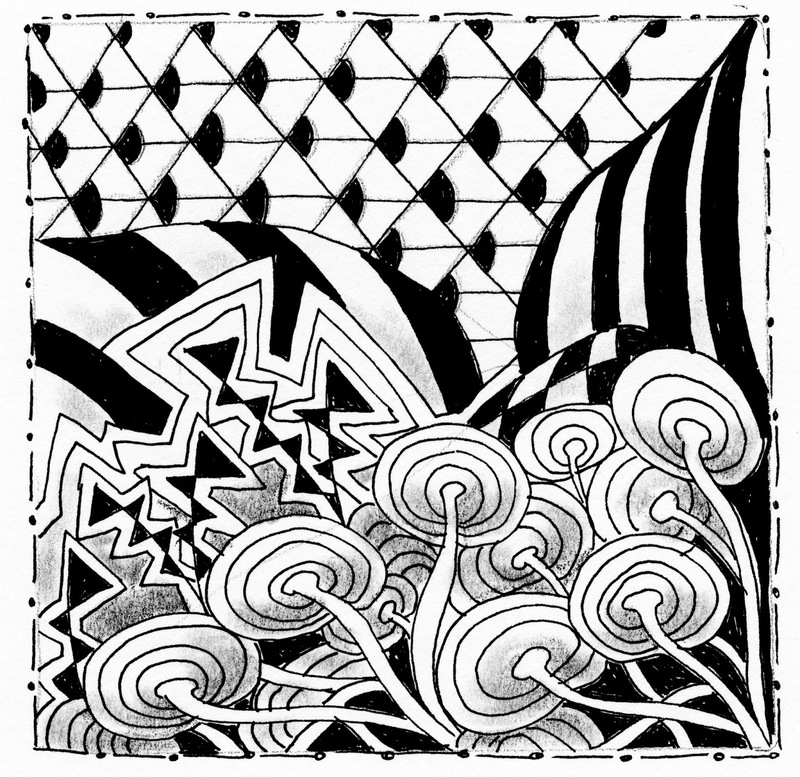 The first day of spring was spent indoors doing some Zentangling while it snowed out. For those of you who don't know what this is, it is a form of drawing with no particular intention. 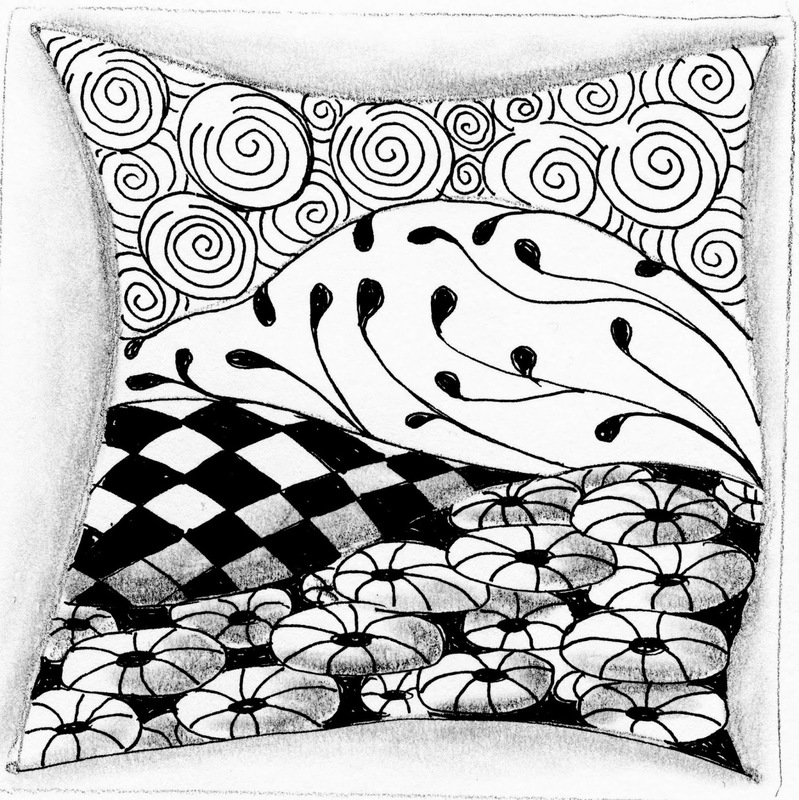 The idea is to draw/make marks in a mindful manner and breathe and relax. In other words it is a meditative form of drawing. I have found it to be very helpful this week in keeping me engaged with my sketchbook as well as keeping my stress levels down through this home buying process. I have always needed to draw on paper first before painting, before digitizing my work etc. The sketchbook is my best friend but sometimes I ignore it to my artistic peril! Have a good week. Hopefully we will hear from the bank soon! Keep your fingers crossed for us! I love your tangles! Incidentally, I just read this post via your link on FB. Have a good Sunday! Snow banks and Financial banks! Good luck with them both! Let me know if you need a mortgage broker - we've worked with the same fabulous woman since we bought our house over 20 years ago, and she's made sure we refinanced whenever interest rates dropped. The paperwork has been almost nothing; she takes care of all the hard work. And she's just a lovely person. 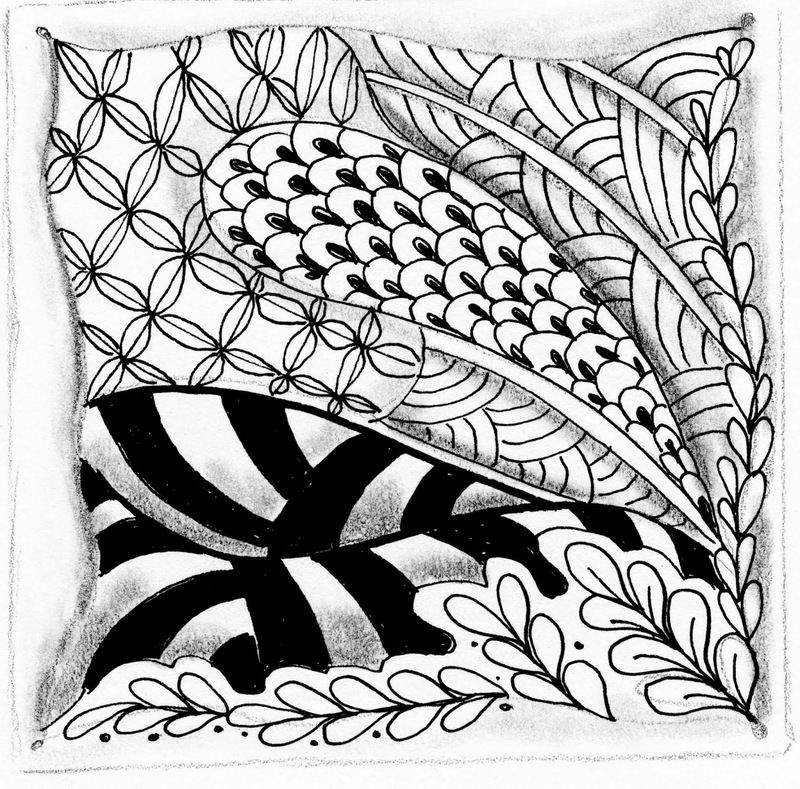 I love your take on the Zentangle thing - I first heard about it through the wonderful Pamela Cole (you must have met Pamela at Metalwerx, haven't you)?